Derik has been boating since his youth starting with OK dinghies later becoming a commercial skipper conducting dive charters in Sodwana. He spent four years in the Cayman Islands running dive charters and later returned to South Africa to run sailing charters in the Knysna Lagoon. In 2006 he became an Examiner/Surveyor with SASCA and SAMSA, and in 2014 he became an SAS examiner. 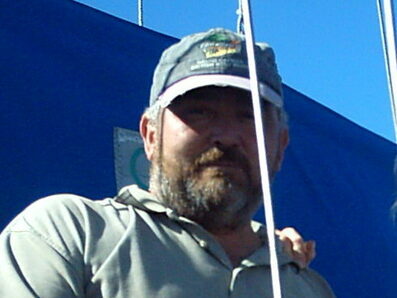 Derik carries a >9 meter Category A licence with sail, surf and dive endorsements. 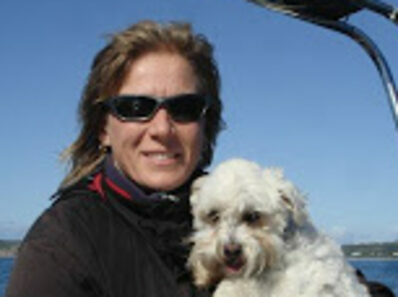 Tracy has also been boating since her youth starting with small sail and powerboats. She later started with dive charters both in Canada and the Cayman Islands. She came to South Africa to continue with dive charters and later moved to Whale Watching charters. In 2004 she became an Examiner and Surveyor with SASCA. Tracy carries a >9 meter Category A licence with passenger, surf and dive endorsements. launching in the area. Derik is also a SAS examiner.